Hickory Hill Mini Golf. Photo by Michael Aaron Gallagher. 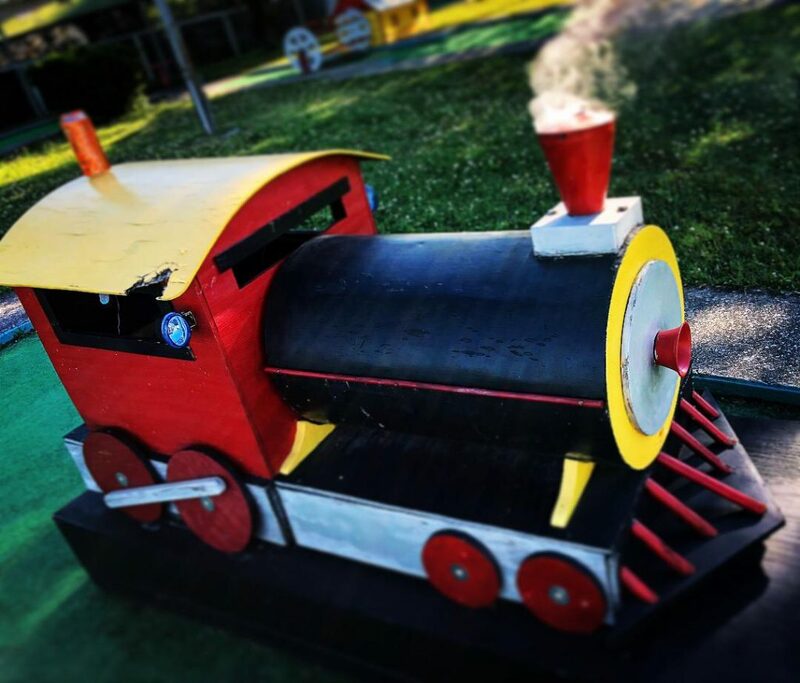 The game of miniature golf has become a booming summertime business across the United States. What began as a sport for women, who were not allowed to participate in traditional golf games, has become a professional sport governed by the World Minigolf Sport Federation (WMF) and also developed into a modern activity that’s fun for the whole family. 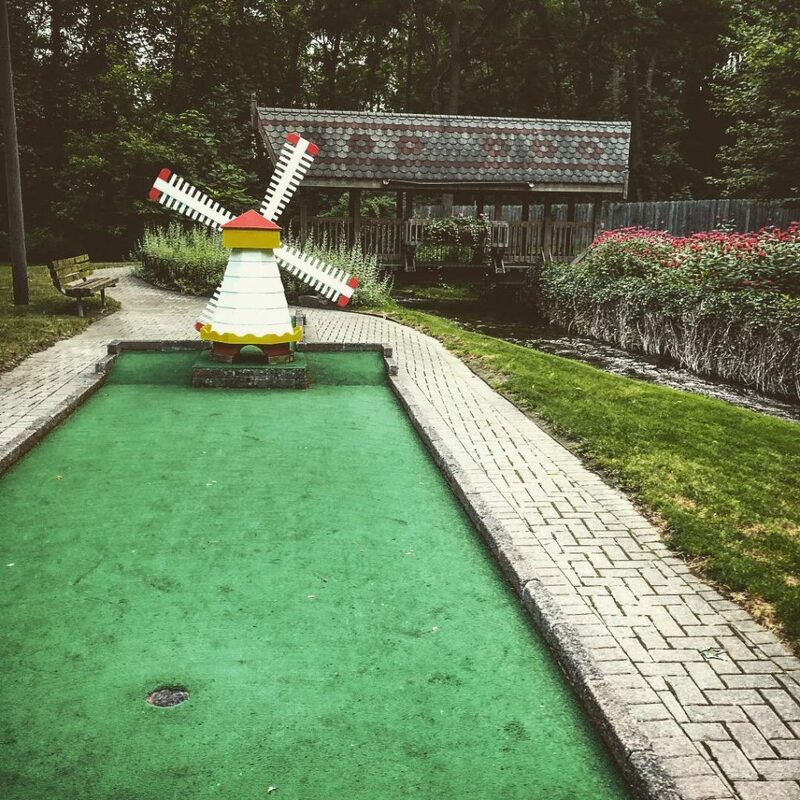 After playing every miniature golf course I could find in the Greater Syracuse area and throughout Central New York, people have begun to recognize me for my gold putter, which I bring with me to each course when I play. I decided to put together a list of the best courses I could find and include some basic information in case you too want to tour all of them. If you have comments or suggestions for me, feel free to send me an email. Enjoy your game! Big Don’s Wild River Miniature Golf Course. Photo by Michael Aaron Gallagher. The first place award goes to the overall best course in Central New York. 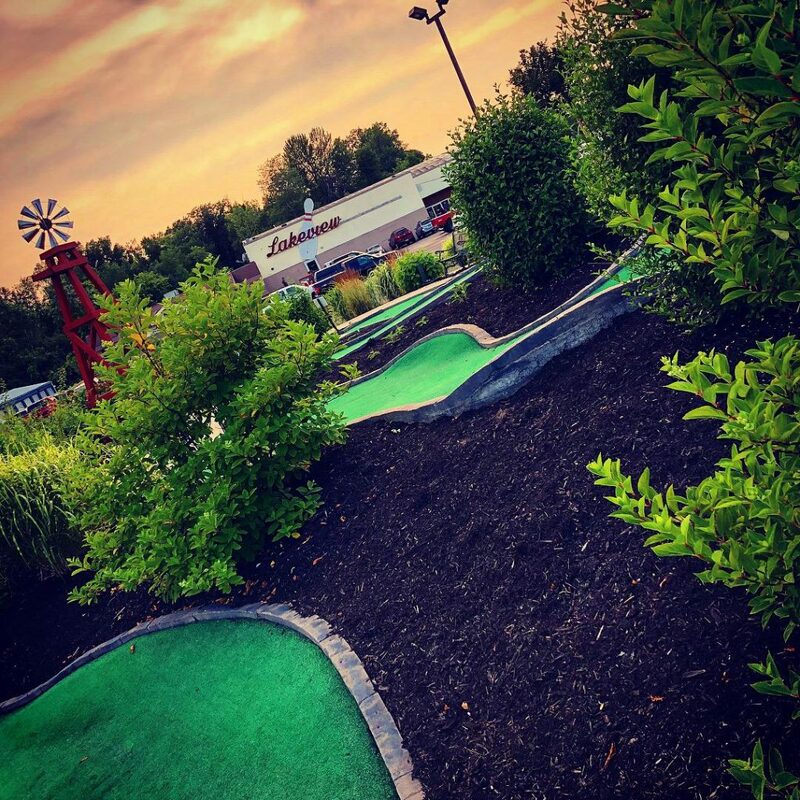 What makes Big Don’s so special is that it not only has unique holes that are both fun and challenging, but it also provides the best overall atmosphere. 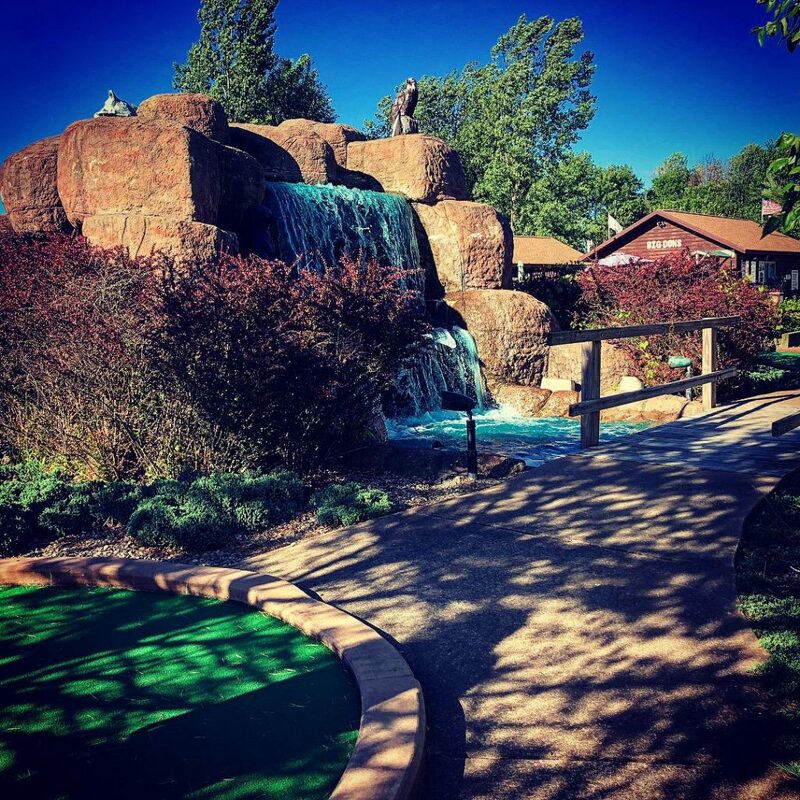 From the statues of animals to the well-kept waterfalls and landscaping, it boasts a comfortable 18 holes of mini golf in a more more intimate layout, which makes it a better choice for date night than Hickory Hill. Although all of the Top 5 courses have their own individual strengths, Big Don’s delivers an overall best in course design, challenge, and atmosphere. Hickory Hill Miniature Golf Course. Photo by Michael Aaron Gallagher. The second place award goes to Hickory Hill for its Harris designed course. 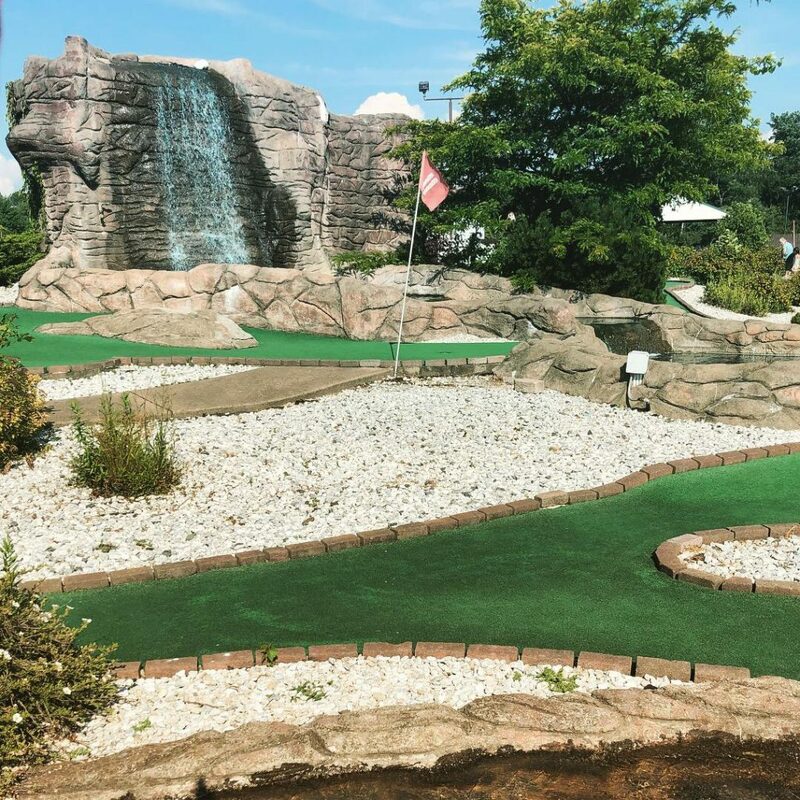 Strictly from a mini-golf standpoint, it is easily the most challenging course in Central New York, which makes it a place you can return to time and time again. 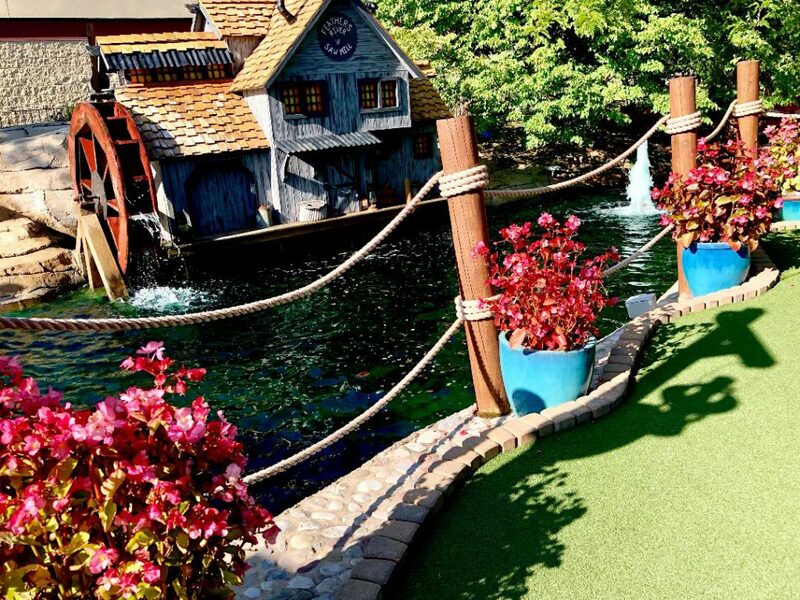 But even with the exciting design (if you intentionally hit the ball into the creek on one hole it will float downstream and pop out by the hole) it lacks some of the personality that makes other mini golf courses more family friendly. In fact, up until the time that I created this list it was my number one choice for my favorite course, but when I took into consideration its lack of personality, some of the other courses are better family outings. If it had a second or third set of 18 holes, like Rochester’s Clubhouse Fun Center, some more landscaping and design features, and benches to sit on, it would easily claim the top spot on my list. Tri-R Karts Super Golf Course. Photo by Michael Aaron Gallagher. 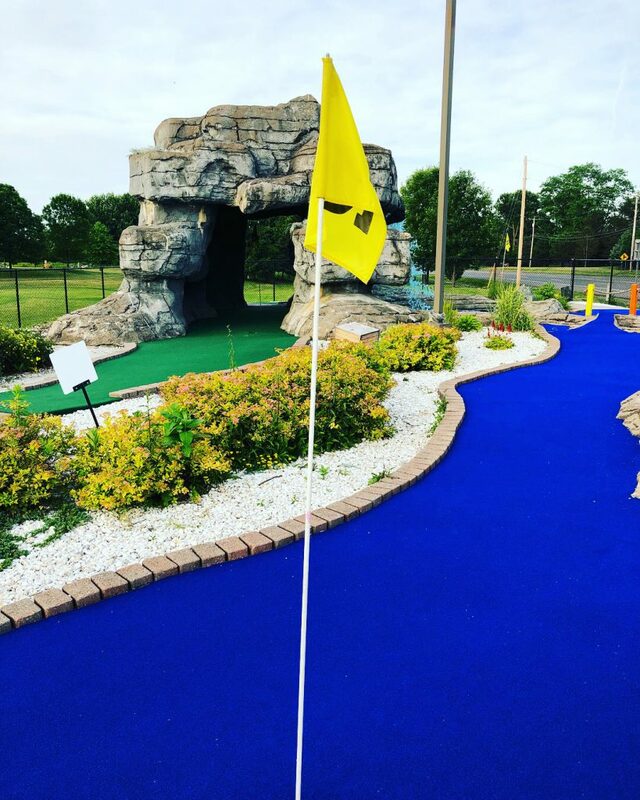 One of Central New York’s best mini golf courses is just a short drive from Syracuse. I have already played the course a few times, once even in the rain. 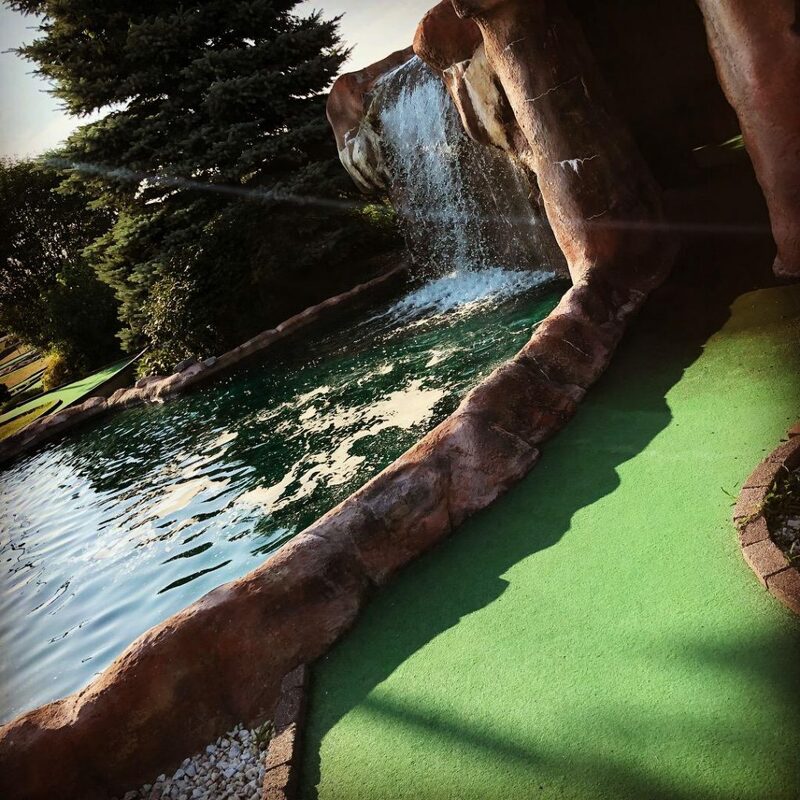 Not only does it have the water features of some of the nicer miniature golf places, but it also has some of the best holes around. Parking is easy and there is also a go cart track, a driving range and ice cream next to the course. The staff was friendly too and the prices were very reasonable. Tom Thumb’s Drive In Miniature Golf Course. Photo by Michael Aaron Gallagher. If you are looking for a course with the best views around, Auburn’s Tom Thumb Drive In is magazine worthy. Not only is the course itself in great condition and well designed, but the view of the lake as a backdrop makes for great Instagram moments. Fairmount Glen Miniature Golf Course. Photo by Michael Aaron Gallagher. Not much has changed since the early days when I played Fairmount Glen in high school. It is still one of the better miniature golf courses in the area, but the top four spots are better designed and in better condition. 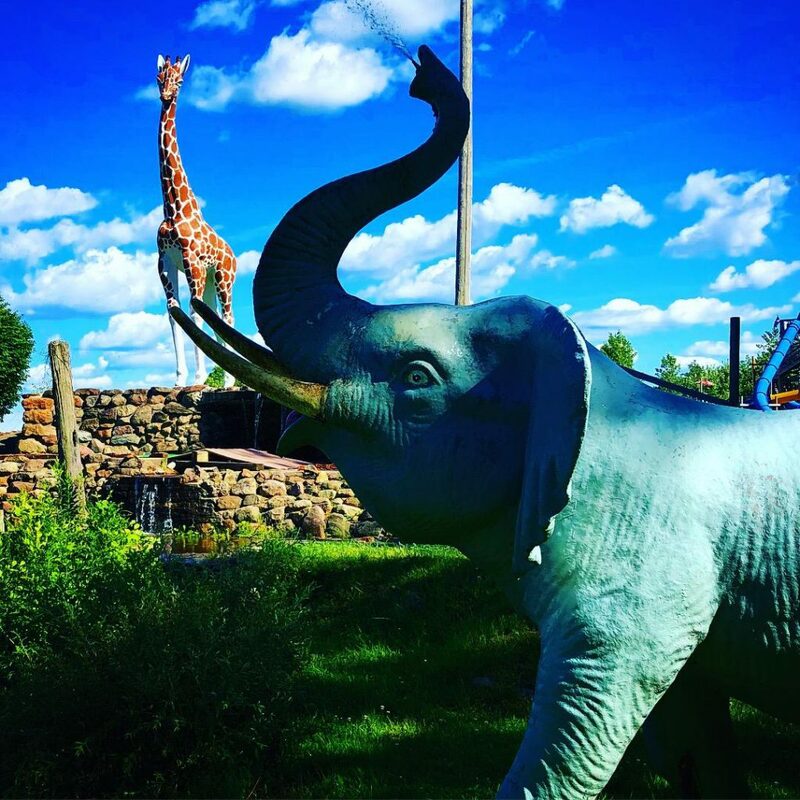 Despite it’s not so flashy approach, there’s still a feeling of nostalgia that keeps it in my Top 5 miniature golf destinations in the Syracuse area. These are some of the other courses in Upstate New York where I have played. If you have any recommendations for places I should feature, feel free to email me! Lakeview Lanes Miniature Golf Course in Fulton, New York. Photo by Michael Aaron Gallagher. 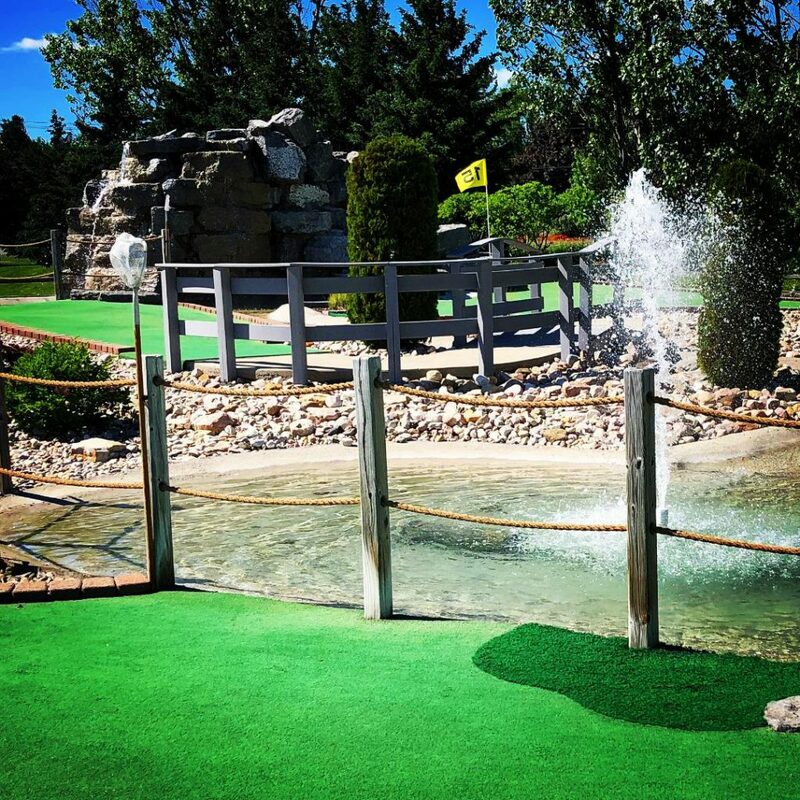 One of the most affordable miniature golf courses in Central New York is also one of the best. 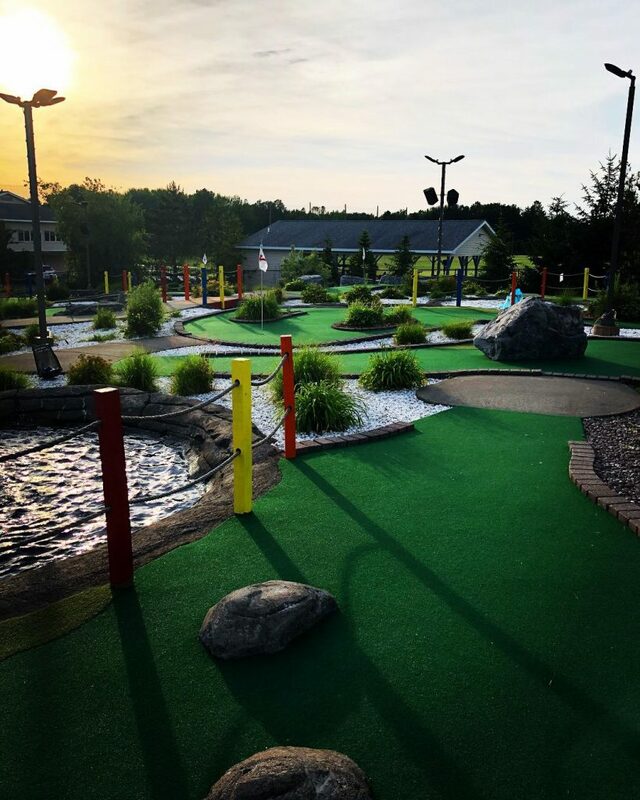 Located in Fulton, New York in front of the Lakeview Lanes bowling alley, this course is not only well designed but it is also a fun course to play. Arnold Palmer Golf Facilities Miniature Golf in Auburn, New York. Photo by Michael Aaron Gallagher. When I heard the name Arnold Palmer, I immediately had higher expectations for the course. Although the entire course is in need of renovations, it still has some creatively designed holes that you can’t find anywhere else. Thunder Island Miniature Golf in Fulton, New York. Photo by Michael Aaron Gallagher. With all of the families that go to Thunder Island I definitely had higher expectations for their miniature golf course. The course itself has definitely seen better days. But in all of the courses I have played, I have never come across a hole like the one that has a giraffe towering over it. When you hit the ball through the giraffe’s legs it goes down the side of a steep hill, which is such a unique layout that makes the course worth trying. Rt 342 Karts & More Miniature Golf in Watertown, New York. Photo by Michael Aaron Gallagher. Route 342 Karts & More – If you like Pulaski’s Tri-R Karts course, there’s a good chance you will appreciate Watertown’s Rt. 342 course, which shares the same owner. What makes this course so interesting is you can actually climb the stairs onto the rock feature for one of the holes. A well-designed course, it’s only drawback is that it isn’t closer to the Syracuse area. Alex Bay 500 Go Carts Miniature Golf in Alexandria Bay, New York. Photo by Michael Aaron Gallagher. 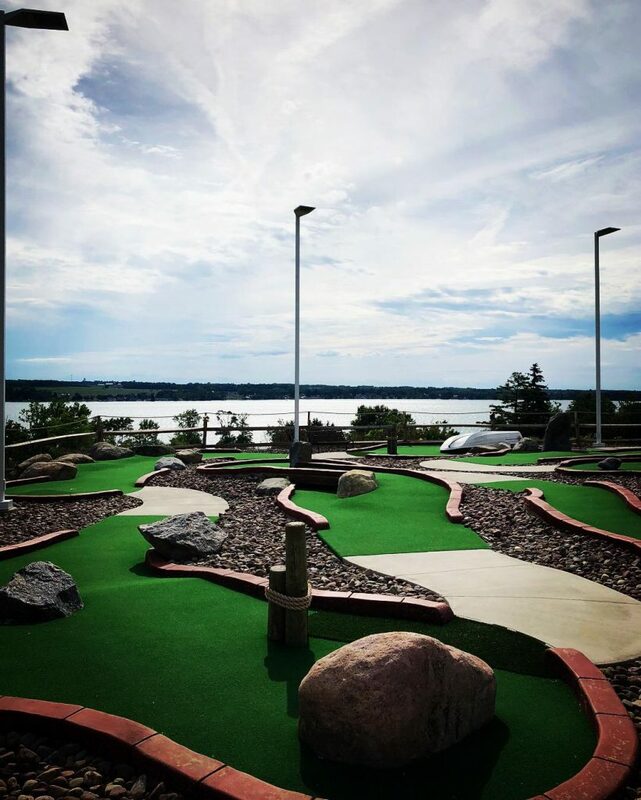 If you are up in the Thousand Islands region, a stop to Alex Bay 500 Go Carts Miniature Golf is a nice summertime treat. There’s nothing particularly memorable about the experience itself, but it is a nice course in a beautiful part of Upstate New York. Clubhouse Fun Center Miniature Golf in Greece, New York. Photo by Michael Aaron Gallagher. One of the most impressive miniature golf facilities I have ever seen is the Clubhouse Fun Center in Rochester, New York. Although I only had time to play one of their 18 hole golf courses (Feathers Canyon Expedition Course), it is easy to see why it is such a popular mini golf destination. With more than one course at the facility you can enjoy a variety of holes in a beautifully designed landscape with themed features. When I first passed this course on Brewerton Road in Cicero, I wasn’t sure if it was still operational. Much like the Thunder Island course, there’s no doubt they’ve seen better days. But if you look past the chipping paint and worn down greens, there’s still a lot of charm that would be fun and affordable for kids. There was a part of me that wished I could buy the mini golf course or even volunteer to help repair it, because it still has a lot of character and unique holes. It would be great to see that course someday restored. 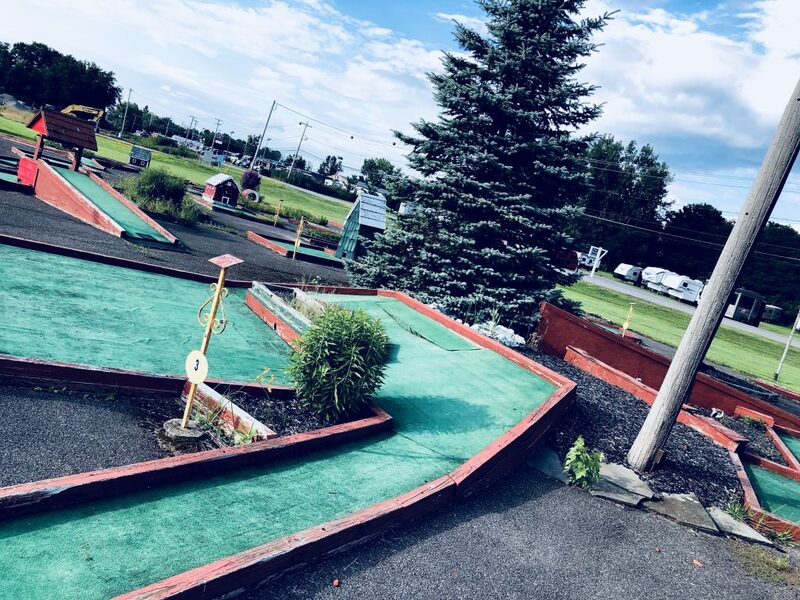 So there it is, my list of the best mini golf courses in Central New York. I hope you find it useful. And, most importantly —don’t be afraid to try new adventures!